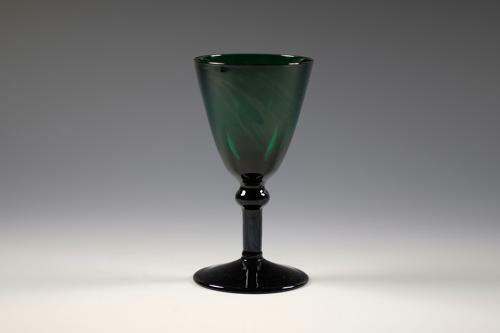 Green wine glass with trumpet bowl and shoulder knop. English C1820. Note A very nice well made glass.